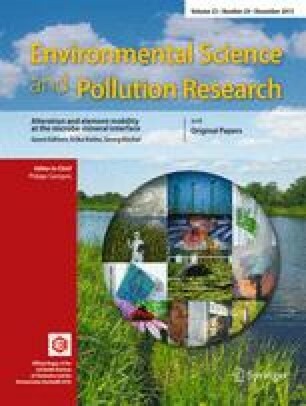 Recently, there is increasing evidence indicating a link between cadmium exposure and human breast cancer. This study was aimed to explore the relationship between blood cadmium burden and the risk of breast cancer in Chaoshan women with no occupational exposure. Blood cadmium levels (BCLs) were determined in whole blood of 186 breast cancer cases and 139 controls. Basic clinical data and information of age, occupation, blood types, family cancer history, and disease history, as well as other demographic characteristics were collected from medical records. BCLs were detected by graphite-furnace atomizer absorption spectrophotometer (GFAAS). BCLs and proportions of BCLs over 3 μg/L between cases and controls were compared. The relationships between BCLs and breast cancer were explored by comparing BCL differences between/among different characteristics of investigated factors. In addition, BCLs within cases were also compared in relation to the disease clinical stages, tumor–node–metastasis (TNM) stages, and estrogen receptor (ER), progesterone receptor (PR), and Cerb-B2 expressions. The breast cancer patients had a higher median concentration of blood cadmium (2.28, interquartile range 1.57–3.15 μg/L) than the controls (1.77, 1.34–2.57 μg/L; P = 0.001). The proportion of BCLs over 3 μg/L was 2.35 times higher in the breast cancer cases than that of the controls after adjusting for age. Cadmium tends to accumulate in the human body with age and body mass index (BMI) but not associates with type of job, family history, disease history, and other investigated characters. With the increase of clinical stages and T and M stages, the BCLs in the breast cancer cases also increased. BCLs were positively associated with Cerb-B2 expression (r = 0.152, P = 0.038) but not significantly associated with ER and PR expressions. The data obtained show that cadmium concentration is significantly higher in blood of breast cancer patients in comparison to healthy controls. Cadmium seems to be a risk factor of breast cancer, and high cadmium exposure was observed in advanced stages of this disease, which indicates that it may promote the development of breast cancer. Lin Peng and Yiteng Huang contributed equally to this work. We are grateful to all the volunteers for participating in the present study. This work was supported by National Natural Science Foundation of China (No. : 81470152), Science and Technology Planning Project of Guangdong Province, China (No. : 2014A020212287), and Shantou University Medical College Clinical Research Enhancement Initiative.